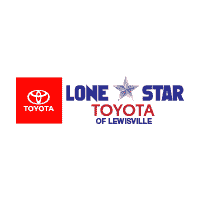 If you’re interested in leasing a new Toyota car, truck, or SUV in Lewisville, take a look at our current Toyota lease offers. We’re here to help you find an affordable lease option for your commutes around Flower Mound or Coppell. Toyota vehicles are some of the safest and most reliable vehicles available, thanks to features like the Entune infotainment system, the Toyota Safety Sense™ suite and their ability to last well beyond 100,000 miles. Recent Toyota models have won a host of top accolades, including more 2017 Vehicle Dependability Awards from J.D. Power than any other brand. So, be sure to ask about Toyota lease deals for popular vehicles like the Toyota Camry, Toyota RAV4, and Toyota Tundra. Contact us to learn more about these Toyota lease offers, or visit us in Lewisville, not too far from Carrollton.